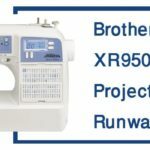 To wrap up our list for the top five best embroidery machines review is the Singer Futura XL-550. 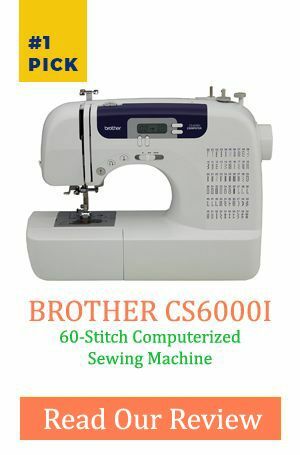 Earlier before technological advancement, designers and tailors had to purchase two separate machines. Like one for embroidery and the other one for sewing. But as time passes by there have been inventions of more high tech machines. The Singer Futura XL-550 is one of those. At its price, it has some incredible features that every tailor will kill for. It can do both the functions hence no need to buy machines. It has been tailored for experts and also fast learners. Imagine what you can do with one LED light while sewing? The Singer Futura XL-550 gives you six bright LED lights. Through that, you can work efficiently even in low light conditions. You can now complete major projects even at night. It can get quite hectic making button-holes manually. The case is worse if you are doing many buttons. However one of the best embroidery machines gets to do all the hard work to give you beautiful results. You can create six of them in a single step. If that is not efficient tell me what is. Even for an expert sewing is a process that requires total care. Speed sometimes leads to bad results. That is why the Singer Futura XL-550 has a speed control lever. Thus whenever the speed is too much all you do is control it using this feature. You can now customize patterns before you finish through the computer screen. You can combine different ones to make one. Thus you end up with something exceptional and that no one else has. Resize, flip and even rotate to any position with this feature. It has quite some accessories which you would have otherwise bought. They include spool pin, screwdrivers, scissors, a pack of needles, lint brush, USB cable, zipper foot, power cord, stitch guide, seam ripper and many others. Charging is limited to 110 volts only hence you cannot travel with it overseas. No international shipping hence some designers cannot access it. Due to the many inbuilt designs and stitches, one cannot be extra creative since they are already there. Q. Does the Singer Futura XL-550 come with a cover? A. No. the machine does not. This gives you an excellent opportunity to be creative and customize your own. Q. 2. Is the machine compatible with Mac? A. Yes. It is. Not to mention that it also works with Windows XP and Apple computers. Q. Can the embroidery machine work on thick fabric such as leather or denim? A. Yes, it can but it is best you use the right needle such as the ones whose main purpose is to work on leather sewing. With that, you will have no problem on thick fabrics. 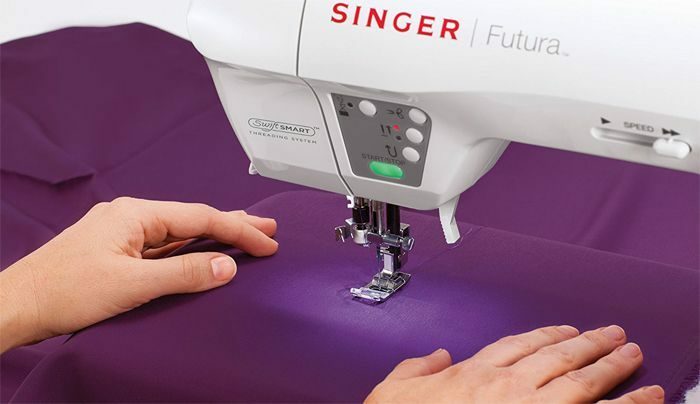 The Singer Futura XL-550 is the best embroidery and sewing machine. When you put into consideration all the features, it has then you definitely would go for it. From it being multipurpose to the brightly lit work-space and durability. Then it is worth investing on.